Offshore Energy has partnered with Danish renewables developer CIP on plan to build $8 billion, 2GW wind farm off Victoria’s coast. Plans to build Australia’s first offshore wind farm off the coast of Victoria have taken a big step forward, after one of the world’s leading offshore wind developers was brought in on the 2GW project. Melbourne-based renewables outfit, Offshore Energy, who are leading the project, said on Friday that they had entered into a partnership with Danish outfit Copenhagen Infrastructure Partners, to progress development of the 2,000MW wind farm, proposed for the south coast of Gippsland. Offshore Energy unveiled their ambitious plans for the $8 billion, 250 turbine project – dubbed Star of the South – in June, at a state government New Energy Technology Roundtable. The Melbourne-based company was founded just five years ago, under the leadership of CEO Andy Evans, formerly of Acciona, and former chief of geothermal hopeful Petratherm, Terry Kallis, who chairs the company. The new partnership with CIP will kick off by undertaking further development of the proposed site for the offshore wind farm, which is located between 10-25 km off the Victorian coast in the Bass Strait. “Offshore Energy is delighted to partner with Copenhagen Infrastructure Partners, one of the leading offshore wind developers in the world, to develop Australia’s first offshore wind farm,” said Evans in a statement on Friday. CIP, meanwhile, sees the project as a “unique opportunity” in what is a new market for offshore wind. “We are very satisfied with this partnership, and look forward to contributing our competence and experience in cooperation with Offshore Energy, all levels of Government and key stakeholders in the development of the first offshore wind project in Australia”, said CIP senior partner, Torsten Lodberg Smed. Of course, the question remains whether the project can compete on cost, in Australian waters, particularly in comparison to onshore wind and large-scale solar, which continue their journey down the cost curve at a remarkable rate. Like its fellow large-scale renewable technologies, the levelised cost of generation from offshore wind has been on a downward slide – just not quite as steep or quick a slide as its onshore rivals. Results of a recent UK auction saw two offshore wind projects win contracts at record-lows of £57.50 per megawatt hour ($A102.87/MWh) – putting them among the cheapest new sources of electricity generation in the UK; cheaper than new gas, according to government projections. As Carbon Brief reported in September, those offshore wind schemes are also close to being subsidy-free: the Department for Business, Energy and Industrial Strategy (BEIS) expects wholesale power prices to average £53/MWh in the period from 2023 to 2035, covering the bulk of their 15-year contract period. This compares to 2014, when the UK government awarded 15-year contracts for difference to five offshore windfarms at £140-150/MWh – projects that are coming online this year and in 2018. What this means for the Australian market unclear, but Evans is confident Offshore Energy can get finance for the Star of the South project. In June, the company said it was in advanced discussions with local and international investors, including with the federal government’s Clean Energy Finance Corporation, and had commenced a comprehensive and “sincere” stakeholder engagement process. In terms of the resource, preliminary analysis of the proposed site off the coast of Gippsland showed Star of the South could potentially generate around 8,000GWh of electricity per year, or enough to power 1.2 million homes. The proposed site is also strategically located alongside existing transmission infrastructure in the Latrobe Valley, the home of the recently shuttered Hazelwood coal-fired power station. Under-sea cabling would, however, need to be installed to connect the wind farm to Victoria’s grid. Evans – who in his former role at Acciona to helped build the Waubra wind farm – said that offshore wind’s natural high capacity factor and more constant generation made it a potentially important ingredient in Australia’s transition away from fossil fuels. Good on them for having a go. Unfortunately I do wonder how $4/watt is going to compete against on-shore wind (generally a touch under $2/watt) or single axis tracking PV (down as low as $1.30/watt). Even at a capacity factor of just under 50%, it’s still more expensive than the current alternatives. It could be interesting to see – if the CF is biased towards a strong seasonality, and lines up with higher priced power it may work – there are periods in that part of the world when the CF would be close to 100% for prolonged periods, other times of the year when it is still for days on end – think of some of the Sydney to Hobart races, boats becalmed for days v others with hair raising squalls. They are working on a 45% capacity factor, which would be achieved by a larger sweep area for improved performance under light winds. This site would be effective at harvesting easterlies, whereas most of the current wind farms in SA and Western Victoria are primarily exposed to westerlies. Build time probably wouldn’t be until 4-10 years time, by which time offshore costs would have come down and on-shore wind and solar costs increased because new sites require grid upgrades. The Victorian grid is running out of connection points in areas of good wind or solar resources, apart from the Moorabool-Heywood line where any new wind farm would face a high wind correlation penalty. Has Abbott & Hockey’s creation….National Wind Farm Commission passed this? Andrew Dyer, the Commissioner, is desperately looking for victims of ‘Wind Turbine Syndrome’ to justify him being in a job. Maybe the fishies swimming around the proposed Turbines will lodge a complaint? A wind farm stole my baby. 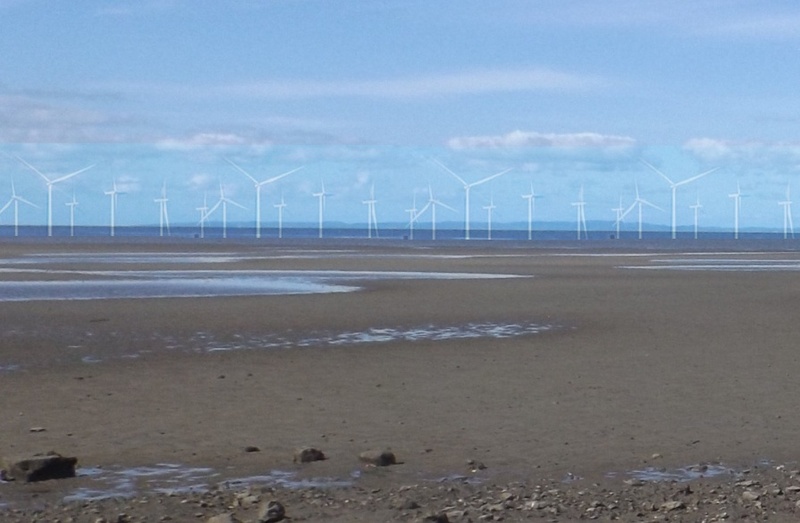 The Deception Bay wind farm in northern Moreton Bay opened on 16 January 2026 to ensure diversity of electricity supply for the population of south east Queensland. The voters of Brisbane had just voted in a bunch of Queensland Green candidates at the previous election. It took me a full two minutes to figure that out, lol. Off Moreton Island would be more eco-friendly I think. One day in our lifetimes….. Probably get chopped up by the blades…sushi on the fly perhaps? The infrasound alone would kill them stone dead before they could dive back into the water. Thousands of dead flying fish skimming across the surface like flat stones. Damn you infrasound! When I heard of this project I thought it was a waste of time because it would have been much cheaper to build 2.5-2.8 GW of onshore wind which will generate the same amount of energy. However with the rapid fall in cost of offshore wind in the UK, Germany and Denmark this project might have legs. There are a couple of important aspects with this proposal which should not be discounted. First offshore wind power generation has little correlation with solar or onshore wind power generation thus providing a critical diversification of generation. As someone who worked offshore in the Bass Strait oil and gas fields I can attest to the great wind resource of the proposed site. Two the existing facilities that service the oil and gas industry there means the ready availability of inferstructure such as ports, workshops fabrication and load out facilities will reduce overall costs. Three an experienced and skilled work force both marine and technical is readily available. This would offset the declining oil and gas jobs and provide a big impetus to the region in developing a new industrial base with construction and ongoing maintenance into the future. The potential for this development is immense and if you compare the interest and impact of the SA Tesla Big battery at a six out of ten then this offshore wind farm would be an eleven. amen bro! SNOWY 2 was announced in a really bad week for the COALition to boost “the nimble economy” …….It doesn’t stack up and their polling gets even worse! The Man from Snowy ( River ? ) ah …2.0 was on the TV yesterday. Feasibility study is getting closer to finals. Lots of core sampling on show for the TV cameras. If the feasibility gives the thumbs up then onto making the business case which will take up another chunk of next year. I can fee l an announcement, in my waters, for Snowy 2.0 around the time of…next General Election with Two Tonguer Turnbull donning the black leathers as he announces the election date and build date for Snowy 2.0. Funny man …..but in all probability correct! In the age of mature HVDC interconnectors distance is nowhere near as much of an issue as it once was. The only real losses are in the converter stations. Every time I heard about plans such as this, as well as the WA solar exporting to Indonesia idea, I think “Wouldn’t that be awesome! Unlikely to happen though…” But then I hear there are people willing to finance them, and I think .. just maybe.. they might become a reality. Lets be honest, on 1 December last year did we think there would be a 100MW Tesla battery up and running on the SA grid in 12 months? currently wind is providing 66% of S.A. POWER! @1.30 AM…… sucked in the the rest of Australia!!!!!!!!!!!!!!!!!!!!!!!!!!!!!!!!!!!!!! I want a massive array of turbines to fill Moreton Bay so that the electricity supplied to Brisbane is renewable. I also want to prosecute anyone who is involved in coal burning. Later on I will want prosecution for those burning oil and gas. Criminalise it. Why? Solar farms west of the divide will be better economics, with pumped hydro at Wivenhoe and build another at Mt Byron, to give 1GW of storage close to Brisbane. Because they are pretty? Are you suggesting Queensland should entirely base its electrical supply on solar? It costs to run Wivenhoe because it has to buy power to pump when it’s cheap – without more solar it will not be cheap during the day. Wind in southern Qld is hopeless, whereas solar west of the divide is a reliable, predictable, low cost resource. Solar can undercut black coal, and provide cheap power which can be stored in Wivenhoe at very low cost (ie 20% round trip loses). Wivenhoe doesn’t run much at present also because it is owned by a coal generator. Western QLD is also an expensive area to service from a transmission and distribution perspective. Anything to reduce the cost would be welcome. Solar as already mentioned is extremely reliable there – unlike the wind resource. WOW TRY AGAIN ROB …… at 3.36 pm NEM TIME S.A. TODAY WE ARE GENERATING 14OOO MW OF SOLAR AND WIND V LESS THAN 400 MW OF GAS! EVENTUALLY GOT IT……..NEARLY 78% renewables and the rest of Australia is doing what exactly? soz…….but me says go S.A. GO…. STILL 78% RENEWABLES AT THAT TIME…….soz if I got excited!